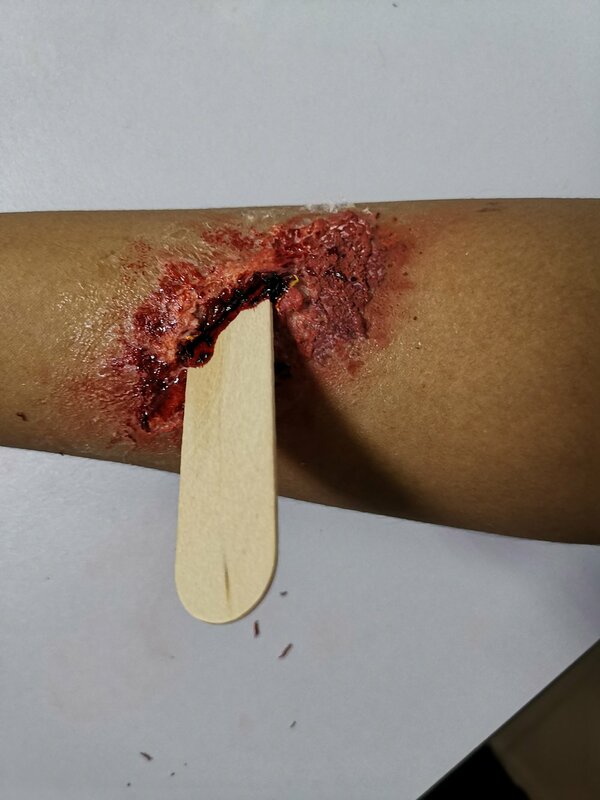 We were honored to share our make-up special effects skills with St John Singapore. We conducted a Casualty Simulation course for their officers and volunteers on 30 March. 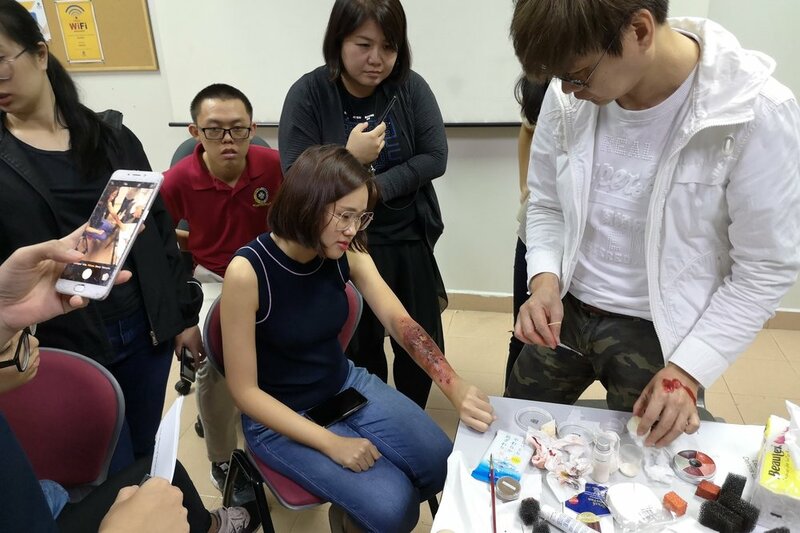 Our special effects specialists Leslie Loo and Dennis Chua brought with them make-up kits filled with various scalpels, liquid latex, color boxes, palettes, brushes, artificial blood and adhesives. We spent a day with the students, explaining bone structures and the effects of different impact from different injuries. The officers gain knowledge and skills of doing bruises, cuts and burns. 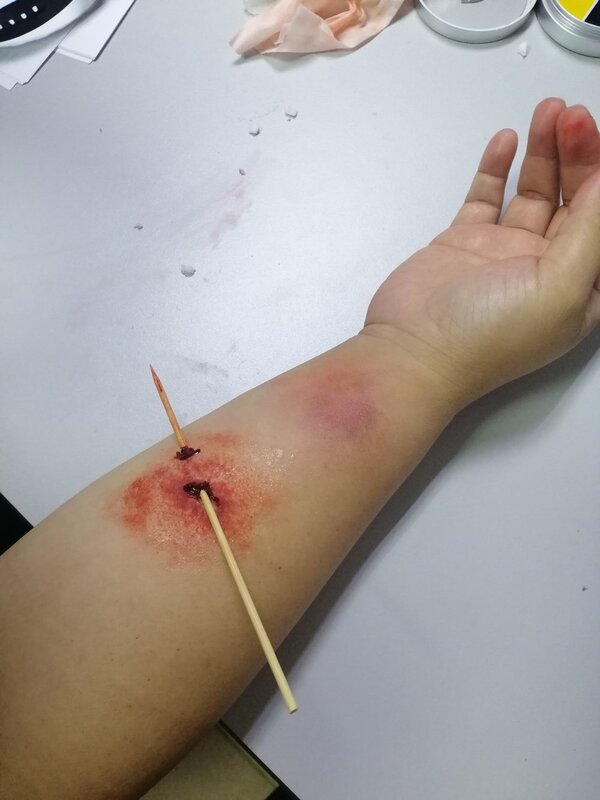 The practical hands-on session was fun, gruesome and realistic. For more information on our Star Stylist, click here.